For a while there, it was almost trendy for pop stars to care about economic inequality. Some of the media heat has since gone off the Occupy Wall Street movement, but lots of musicians are still lending their voices to the cause. 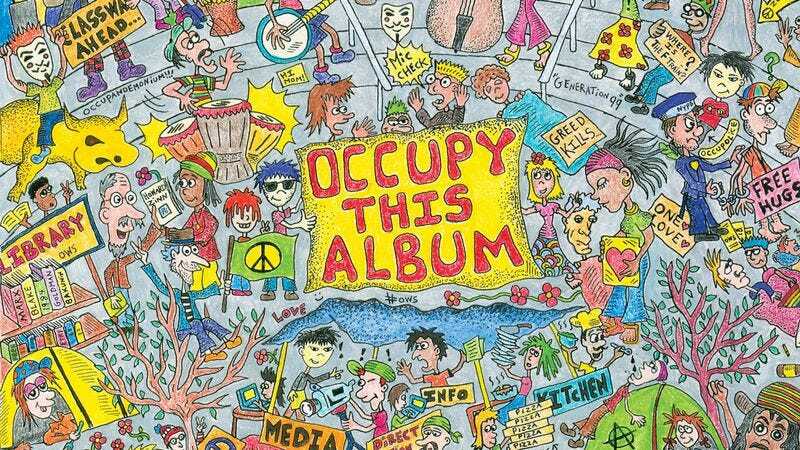 A galaxy of stars including Tom Morello, Yoko Ono, Michael Moore (yes, that Michael Moore), Mogawai, Ani DiFranco, Willie Nelson, Yo La Tengo, and many more appear on the Occupy This Album compilation, which comes out May 15 in forms digital (featuring 100 songs) and physical (which has 78 tracks), with proceeds going to the Occupy movement. Before picking up the record, you can stream a sampling of songs below.